This article reviews the manifestations and risk factors associated with osteoporosis in childhood, the definition of osteoporosis and recommendations for monitoring and prevention. As well, this article discusses when a child should be considered a candidate for osteoporosis therapy, which agents should be prescribed, duration of therapy and side effects. 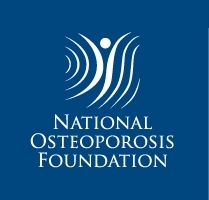 There has been significant progress in our understanding of risk factors and the natural history of osteoporosis in children over the past number of years. This knowledge has fostered the development of logical approaches to the diagnosis, monitoring, and optimal timing of osteoporosis intervention in this setting. Current management strategies are predicated upon monitoring at-risk children to identify and then treat earlier rather than later signs of osteoporosis in those with limited potential for spontaneous recovery. On the other hand, trials addressing the prevention of the first-ever fracture are still needed for children who have both a high likelihood of developing fractures and less potential for recovery. 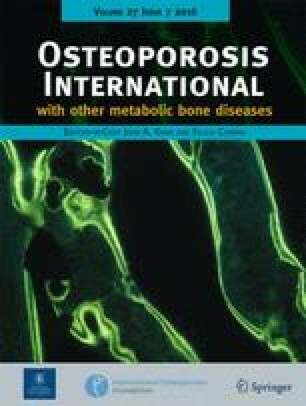 This review focuses on the evidence that shapes the current approach to diagnosis, monitoring, and treatment of osteoporosis in childhood, with emphasis on the key pediatric-specific biological principles that are pivotal to the overall approach and on the main questions with which clinicians struggle on a daily basis. The scope of this article is to review the manifestations of and risk factors for primary and secondary osteoporosis in children, to discuss the definition of pediatric osteoporosis, and to summarize recommendations for monitoring and prevention of bone fragility. As well, this article reviews when a child is a candidate for osteoporosis therapy, which agents and doses should be prescribed, the duration of therapy, how the response to therapy is adjudicated, and the short- and long-term side effects. With this information, the bone health clinician will be poised to diagnose osteoporosis in children and to identify when children need osteoporosis therapy and the clinical outcomes that gauge efficacy and safety of treatment. This work was supported by the following programs and organizations: (1) LMW: the Canadian Institutions for Health Research Operating Grants Program, the Canadian Institutes for Health Research New Investigator Program, The Canadian Child Health Clinician Scientist Program, the Children’s Hospital of Eastern Ontario (CHEO) Research Institute, The University of Ottawa Research Chair Program, and the CHEO Departments of Pediatrics and Surgery: (2) VK: The CHEO Department of Surgery; and (3) JM: The CHEO Research Institute. LMW has been a consultant to Novartis Pharmaceuticals, Amgen, and Alexion Pharmaceuticals. VNK and JM have no conflicts of interest to disclose.